It is a mini cinema, to be located in Kaduna State of Nigeria, with 2screen , sitting 70 audiences each. 70% of the investment made personally. 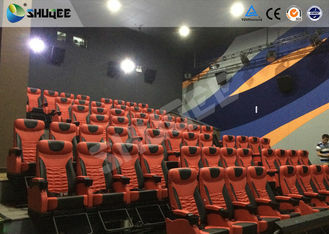 It is a mini cinema of 2 screens seating 70 audience each. We have acquired the premises,leaving a balance of $2500 to balance the rent, and we have acquired 145 cinema chairs. We require fund to balance the rent, get 10 units of air conditioners, projectors, and audio systems, and other miscellaneous expenses. Gate fee @ N1000 per ticket,for 150 seats, N150,000 per show. Requires immediately funds to balance the rents for the space, to retain and to acquire other equipment and start business. The business have the opportunity of earning over $15,000 monthly, providing job opportunity to at least 15 people, and growing into a multi million Dollars business in 12 months employing hundreds of people. We already have a acquired a lucrative space at ASD Mall at the highbrow street of Independence Street by Katsina Street in Kaduna. It is a 5 storey building with tasteful finishing, with lift to every floor of the building. We are occupying the 4th floor of the building, measuring 120 square meters. The floor also has 2 convenience rooms each with 3 toilets water closet system. The halls shall be demarcated into 2 cinema auditoriums, each with 75 settings . The total space we have paid for at a discounted yearly rent of N1, 900,000.00 inclusive of service charge. We have also acquired 150 Cinema seats , already in Kaduna , for set ups. There is no any serious competition at present. There is only one cinema in Kaduna, with an almost non existence source of movies , and non standard operational style. We however anticipate competition in the future, but we are strategically posed to deal with it. Advantages is that we have a better knowledge of the market and business terrain and that we have the advantage of pioneer operator, with knowledge of how and where to source good movies. This estimate is an approximation based on the best case scenario, worst case scenario ,will be like 50% of the estimate, which will still be N5,100,000.00. This estimate is without considering other sources of revenues like the sale of popcorn, ice cream, and other drinks, which can improve the earning even better than the figures estimated. 1. 6 units of 2hp air conditioners.,2 units of cinema projectors.3. 120square meters of branded carpet. Deposit for film distribution agreement,security gadgets,power inverters and UPS system, video player and sound equipments. 20% redeemable equity of the business or 30% interest on the amount payable in 6 months. The only foreseeable risk is the risk of equipment break down, fire and insecurity, and we have covered that in our business plan, with the employment of on ground technician, security operatives and insurance cover.